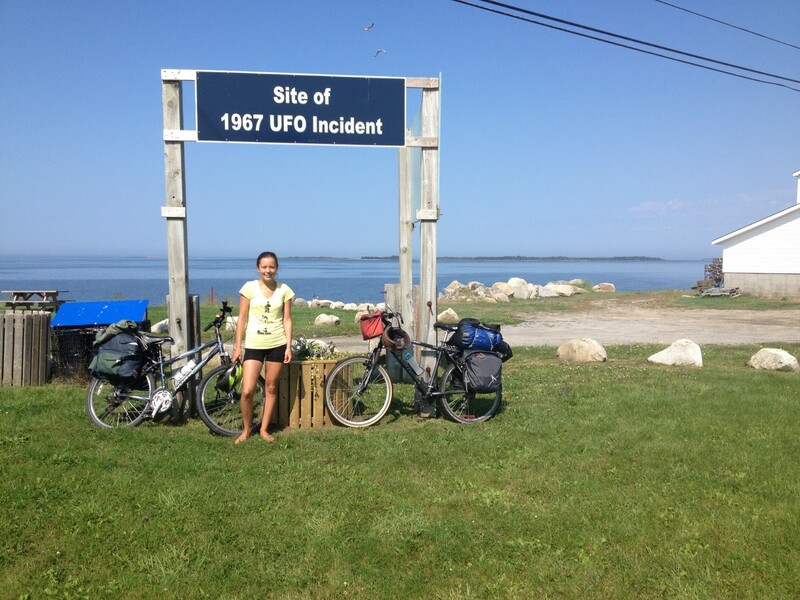 The "UFO Musuem" is the place to stop to learn everything about the Shag Harbour UFO sighting. You can view collected memorabilia, watch TV programs about the incident and perhaps even meet a witness. The official Canada Post Shag Harbour cancellation stamp (designed by Eric Shand). There are also souvenirs for sale, proceeds collected will aid this non-profit institution and the local community. Visitors are able to also obtain an official Canada Post cancellation stamp, which will be used for any postcards or letters mailed at the "UFO Museum". 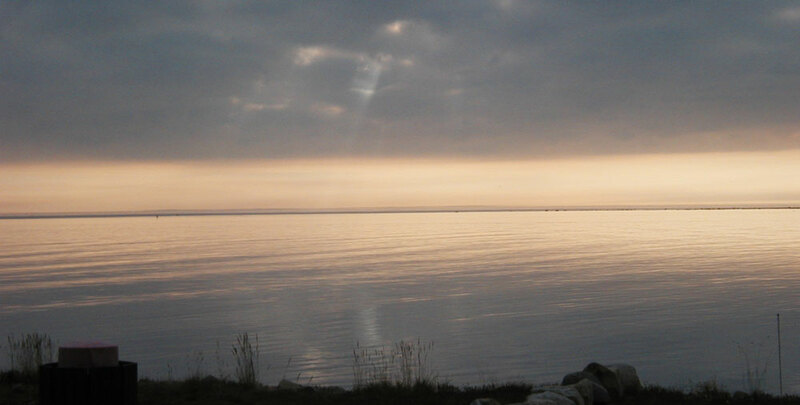 Further west on the road, visitors can visit the site of the UFO incident, viewing the harbour towards the sound where the alleged crash took place. It provides a good spot for one to contemplate what it was like that evening on October 4th, 1967 observing the strange phenomenon along with the rest of the witnesses dumb founded with the spectacle. 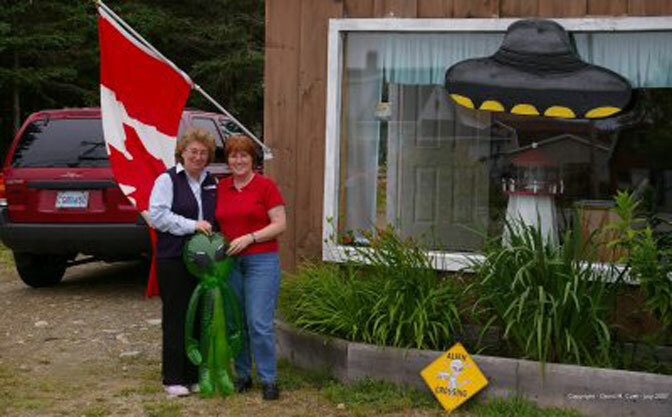 Cindy Nickerson (L), Dale Nickerson (R) and "Errol" (Centre) pose in front of the temporary home of the Shag Harbour UFO Museum. Note: The UFO Museum can be opened during off-hours by appointment only.